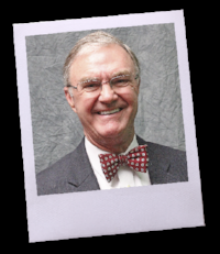 Dr. Hunter served as senior pastor of Northland Church in Longwood, Florida for 32 years. In 2017 he transitioned from that role on a mission to “go from my best interpretation of what the Bible says, to my best imitation of how Jesus lived.” Now, Dr. Hunter, a full-time volunteer, serves as the Chairman of the COMMUNITY RESOURCE NETWORK a non-profit organization he founded, that focuses on helping the marginalized - specifically families who are at risk of experiencing homelessness. Additionally, Dr. Hunter is the Immediate Past Chair of the Central Florida Commission on Homelessness, a Florida-based nonprofit organization comprised of government officials, corporations, faith communities, and other non-profit organizations working together to end homelessness. Also, he leads SIMPLE HELP, a growing movement of everyday helpers doing simple things to address complex issues. Each week, social issue experts help to set the tone for delivering solutions through A COMMUNITY CONVERSATION which includes Dr. Hunter's interview program, POWER TALKS, on TV 45 Tuesdays and Fridays at 9pm and a radio program that he co-hosts with his son, Joel D. Hunter MD, THE BRIGHT SIDE, on 93.1 FM and 540 AM on Wednesdays, Thursdays, and Fridays at 7pm. In addition, Dr. Hunter can be heard daily giving a MINUTE DEVOTIONAL on Z 88.3 FM Radio. Freddy Clayton is the President and CEO of the Orlando Union Rescue Mission. He is a fifth-generation Floridian who joined the Board of Directors of the Mission in 2010. He served as Vice Chairman until he became President and CEO in 2015. He began his professional career as a lawyer, handling litigation in state and federal trial and appellate courts, and left the practice of law to enter business. He co-founded and sold two successful businesses, the first of which manufactures systems that generate and dispense fragrances for commercial applications. The second company creates and distributes interactive, online training programs for medical personnel. He received his A.B. from Davidson College and his J.D. (with honors) from the University of Florida College of Law. He and Susan, his bride of 37 years, raised their two grown sons in Orlando. Freddy and Susan are members of St. Michael’s Episcopal Church in Orlando, where they have been active in leadership roles and various ministries since they joined the church 28 years ago. Ultima Morgan is an Attorney, and a founding partner of Morgan & Morgan Law. Ultima was born in Houston, Texas on September 4, 1956. She received her undergraduate degree at the University of Florida in 1977 and earned her Juris Doctor, with honors, three years later. She is admitted to practice in Florida and handles corporate litigation and business law cases. She was named an AV-rated attorney by Martindale-Hubbell in 2011, an award signifying that her peers ranked her at the highest level of professional excellence. More than 30 years ago, Ultima married John Morgan, who has been named among the most powerful people in Orlando. Alongside her husband, who she met in law school, Ultima supports philanthropic endeavors such as The People’s Clinic, which provides free medical and health services to uninsured children in Central Florida; the Second Harvest Food Bank of Central Florida, which in 2013 dedicated a new 100,000-square foot food storage facility in the Morgans’ name; and The Destiny Foundation of Central Florida, a nonprofit ministry that works with impoverished Florida families. Prior to becoming the second Morgan in the firm’s namesake, Ultima was a successful securities attorney at another Florida law firm. While her children were young, Ultima continued to work as an attorney while her husband began to create the beginnings of what is now one of the premier plaintiffs’ personal injury and consumer protection law firms in the country. Ultima is the mother of the Morgans’ four children, Matt, Michael, Daniel and Kate.